Friday 20 Aug  Dearest: How do you like the new stationary? It is a gift from Al. Of course, I don't really deserve the commissioned officer's insignia at the top but I will pretty soon. I had lots to say last night but was cut off .... and now I’ve hardly started and I must run again. 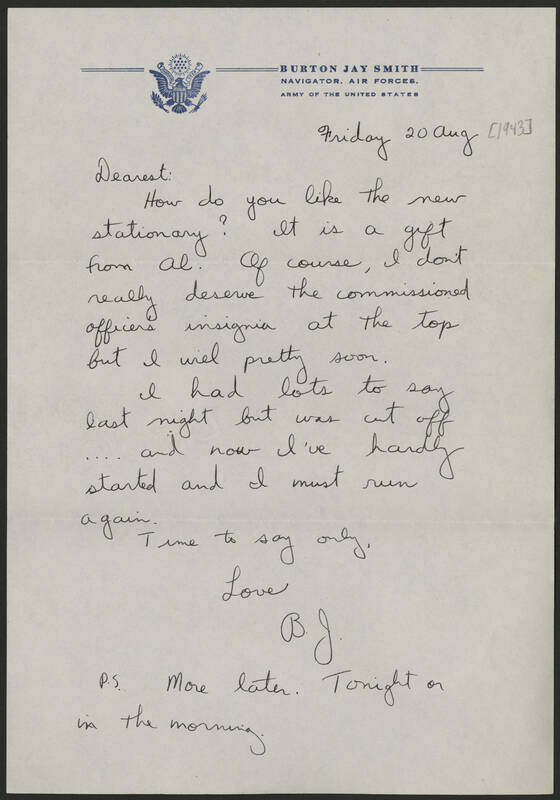 Time to say only, Love, B.J. P.S. More later. Tonight or in the morning.